So, the challenge is finally here! 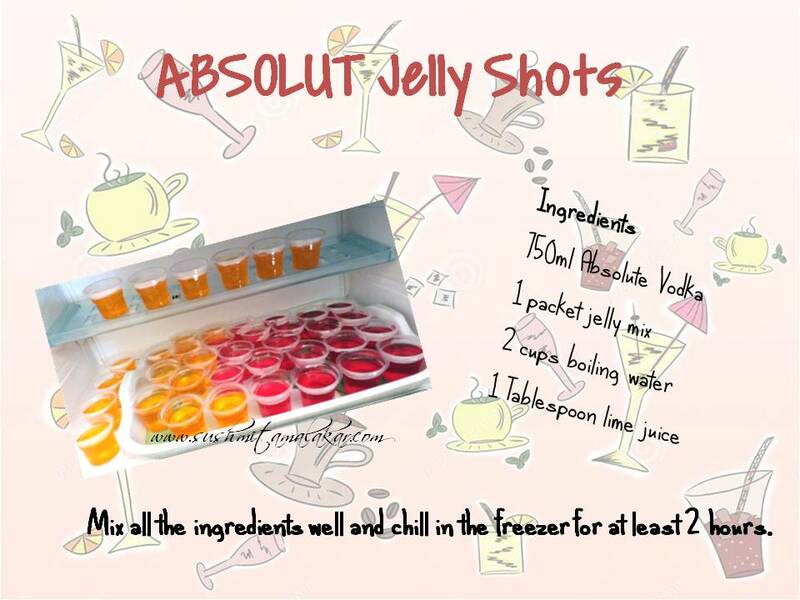 The first cocktail that I want to talk about today are the vodka jelly shots! I am not a vodka fan, in fact I don't like it at all, but this is the only thing that I can have with vodka in it. And the major reason for my liking is the sweet jelly. This is a great party starter. And definitely a great cocktail to get sloshed. Vodka is my go to drink so this reminds me of my university days. Vodka is the poison we all love! Mixology is love! Thanks for visiting! I am glad you visited. I hope you love the list! Nah never tried this.. But sounds something exciting. What a fun theme for the challenge! Hope you love the posts too!